Mustang News, the Cal Poly Journalism Department’s student-run news organization, received national recognition with 17 awards from the Associated Collegiate Press (ACP) and the College Media Association (CMA) at the National College Media Convention, Oct. 29-Nov. 2. 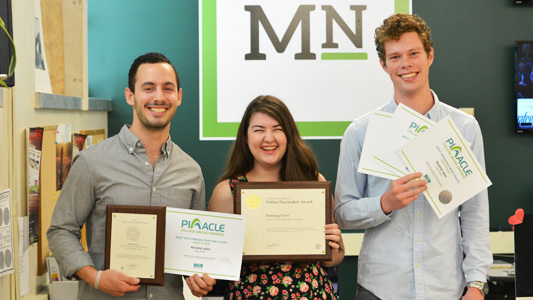 For the third time in eight years, MustangNews.net received the ACP Online Pacemaker Award, one of the most prestigious awards in college journalism. The Associated Collegiate Press is the oldest and largest national membership organization for college student journalists. 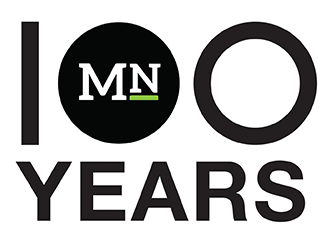 Since 1921, the organization has offered resources to help member publications — newspapers, yearbooks, magazines, broadcast programs and online publications — improve. More than 20,000 students are staffers at ACP member publications. Founded in 1954 as the National Council of College Publications Advisers, the College Media Association has more than 800 members from coast to coast. It supports new and veteran advisors of collegiate media programs with conventions, workshops, publications and national networking.